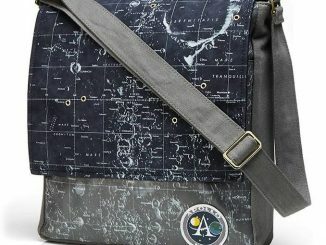 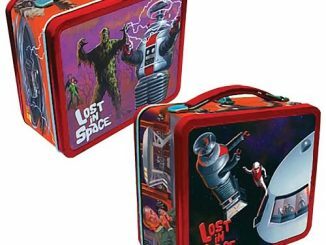 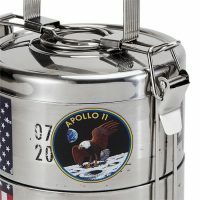 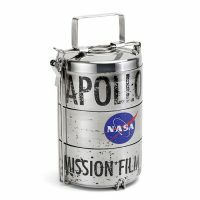 If you take your lunch to school or work, you’re in luck, because the coolest lunchbox ever just landed—the Apollo 11 Film Reel Canister Lunch Box. 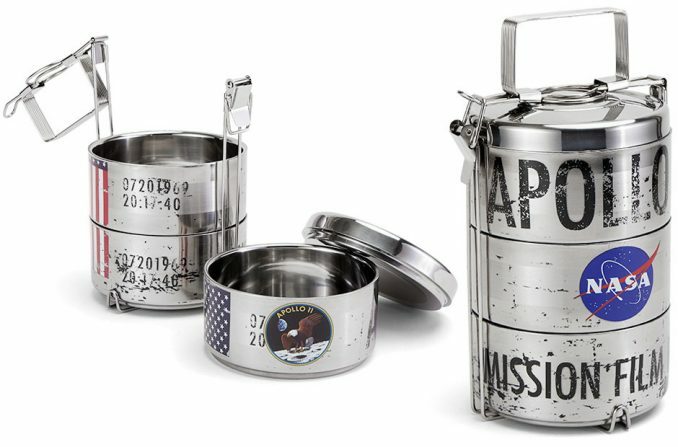 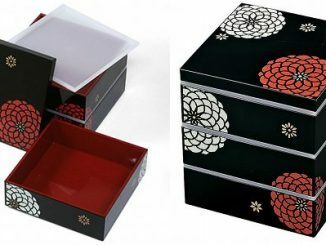 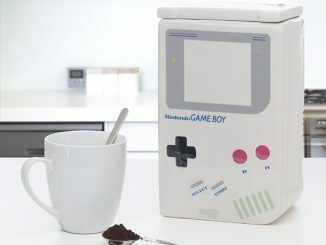 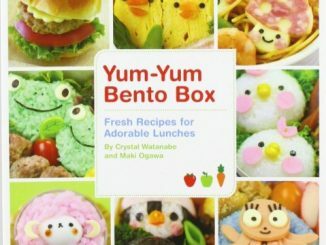 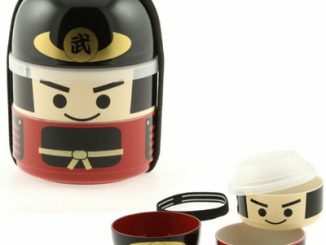 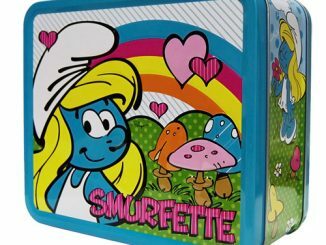 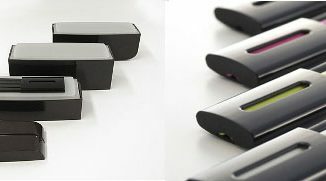 This bento-box style lunch box offers three separate compartments, is made of durable stainless steel, and looks like it should be carrying mission film from Apollo 11. 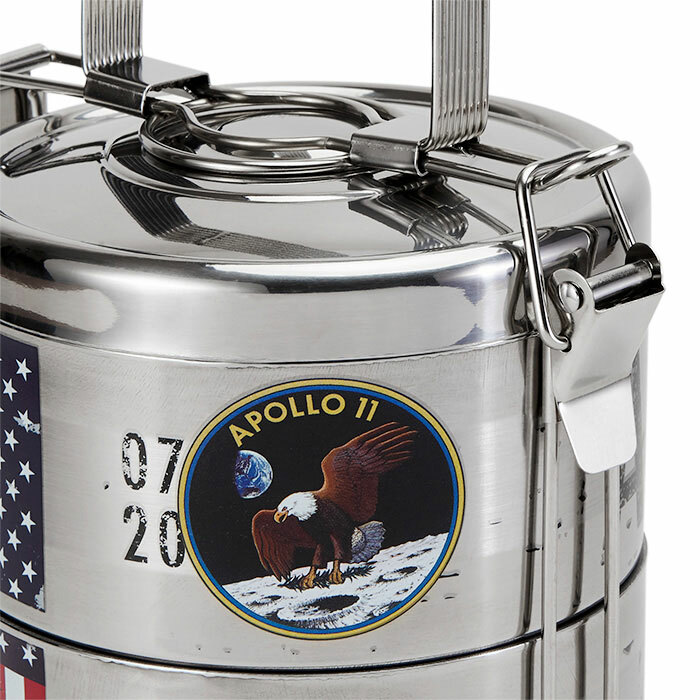 On the outside this lunch box reads “Apollo 11 Mission Film Reel” and it features the NASA meatball logo, the Apollo 11 patch design, an American flag, and some timestamps from July 20, 1969, when the Apollo Lunar Module touched down on the Moon at Tranquility Base. 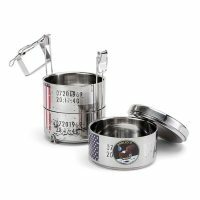 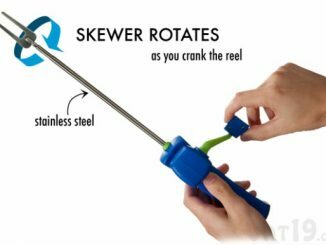 Each of the three bowls has a 20-ounce capacity and can be used for many other purposes, such as for travel, storage, or as doggy bowls. 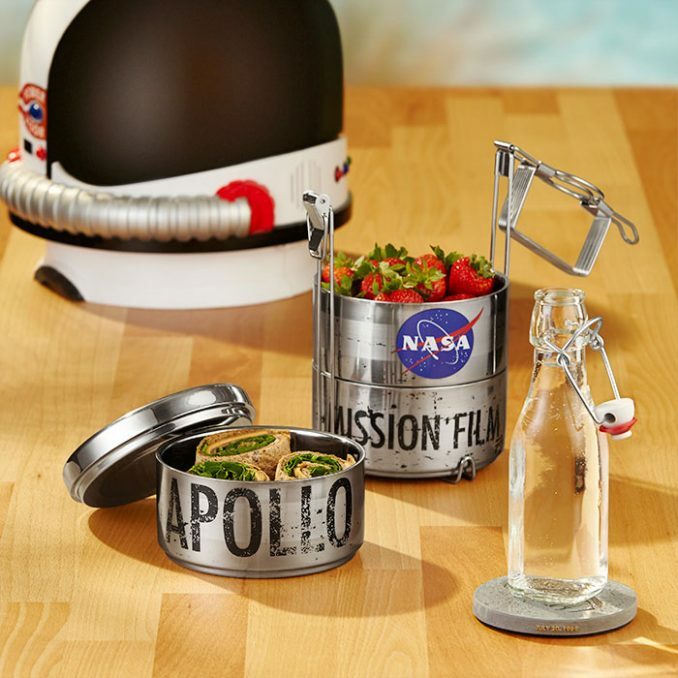 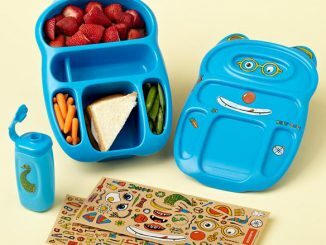 Available exclusively at ThinkGeek, this Apollo 11 Film Reel Canister Lunch Box costs $24.9..